Over 50 years ago, Ridge made its first Monte Bello, and two years later its first Zinfandel. Since this time, Ridge has championed single-vineyard winemaking, searching California for those rare vineyards where climate, soil and varietal are ideally matched. Ridge Vineyards has two locations; high on Monte Bello Ridge in California's rugged Santa Cruz Mountains in Cupertino, and in the heart of Sonoma County in Healdsburg. Dan will lead us in a tasting of a selection of his wines, accompanied by a four course menu prepared especially to complement them. 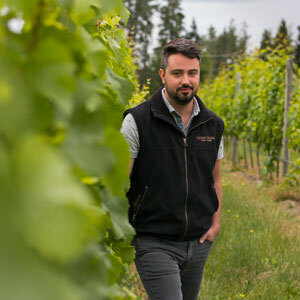 Francois Morissette will lead us in a tasting of a selection of his wines, accompanied by a 4 course menu prepared especially to compliment them. Our Ramsay neighbour, The Dandy Brewing Company, is joining us for an evening of Microbrew and prairie-inspired dining. Meet the brewer and taste the beers that have earned them a strong reputation in Calgary and beyond. Chef Merrit Gordon is joining Deane Chef de Cuisine Galasa Aden in the kitchen. The Dandy Brewing Company is Calgary's original little brewery. Although it has grown some, it's still small at heart. They produce inspired ales, with lots of care, in small batches. Head brewer, Dylan Nosal comes from a fine dining background, and so he approaches beer from a culinary angle. It’s gong to be a great night! Join us on the Patio Thursday July 12 for Live Music with Haven Vanguard. Viewing, Cocktails & Canapés • 1:00-3:00 p.m.
Ian Tyson Set • 2:00-3:00 p.m. Speakers of the West • 3:00-4:00 p.m.
Art & Artifact Auction • 4:00-5:30 p.m. Conducted by Foothills Auctioneers Inc. Dress Code: West, of course! We are joined by Geraldine Kenny from the Winery to lead us through this exquisite collection of Loire Valley appellations. Dotted along the river from East to West, the estate vineyards are farmed with utmost care, producing wines with strong identities which express the unique characteristics of their terroirs. Sunday April 29, 2018 - Join us for the next event in our Sunday Supper Series. Chef Jamie Harling shares the kitchen with his sister, Andrea Harling, VP & Executive Chef of Made Foods. Dinner will feature some key ingredients from Annex Ale Project - owned and operated by the Harling's cousin Andrew Bullied. 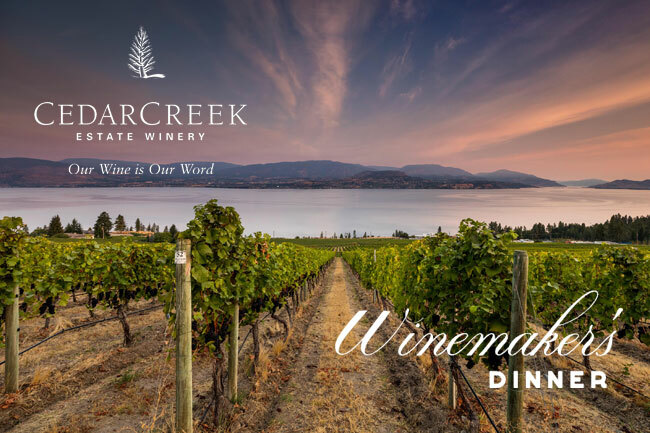 Thursday April 19, 2018 - Join us for a delicious evening with Maria Vincente, Export Manager for the winery, as we explore their exceptional wines. Ocean Wise recommended sustainable seafood. Sunday February 25, 2018 - Chef Jamie Harling shares his kitchen with Neil McCue for a collaborative coursed dinner, the first of a new Sunday Supper series at Deane House.